This plant can grow up to 1 m according to the books but often it is smaller and prefers acidic, poor soil. 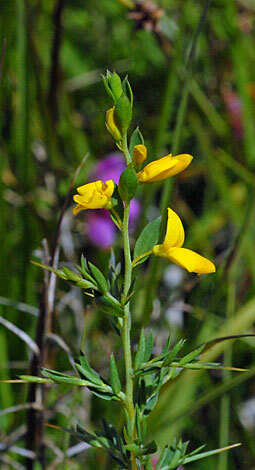 The flowers are like those of Gorse or Broom. 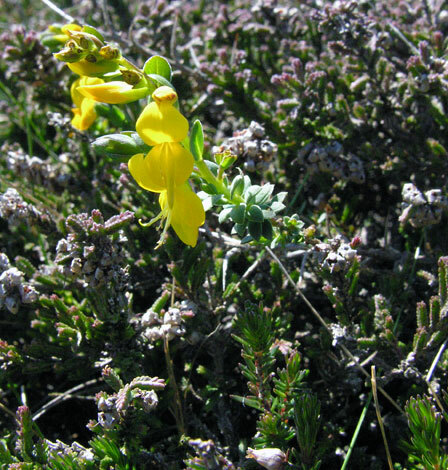 One of its other common names is Needle Furze referring to the long spines which can take you by surprise. Although regarded as common it has a peculiar distribution being common in west Wales and Cornwall, the south east of England and most frequent in highlands of mid and east Scotland. It does not occur in Ireland.